Football is one of the biggest betting sports in the world. With markets available on hundreds of different leagues around the planet, those with an expert knowledge and local information can churn a healthy profit. There are also those individuals who take betting extremely seriously, putting in hours of research to derive selections which produce a healthy return. JohnnyBet is home to some of the sharpest, shrewdest football tipsters on the planet, and what’s more, their advice and soccer betting tips can be obtained completed free of charge . The JohnnyBet tipster league allows individuals from all over the world to pit their betting wits against one another. The winners are the JohnnyBet community, who can make substantial money from the tips which produce long-term profits. Well, just what do the resident tipsters get from this deal? 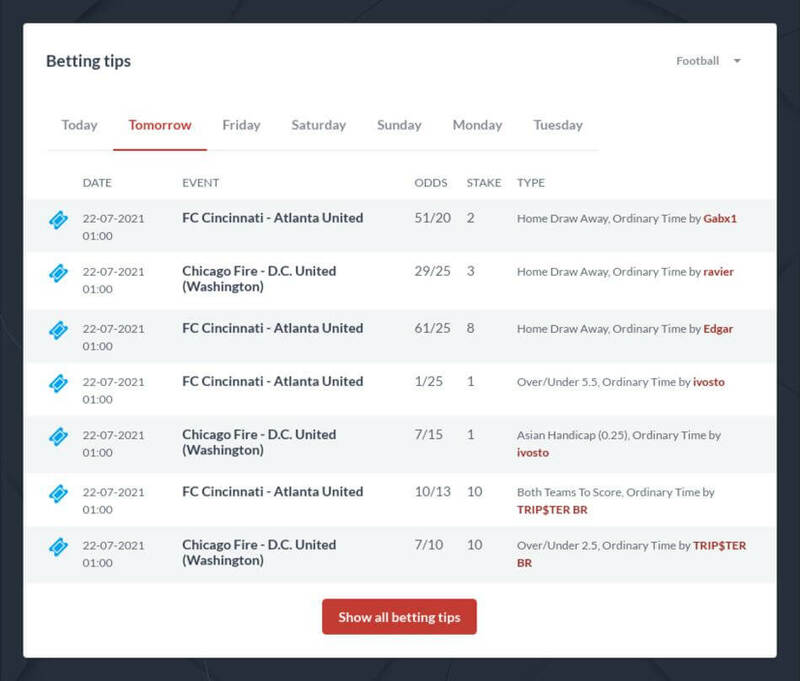 Firstly the exposure to thousands of individuals with an active interest in betting tips can only help to build a tipsters profile if they are successful. Secondly, JohnnyBet puts aside €1000 as prize money for tipsters. They may be offering their selections and sure betting predictions for free , but if the tipsters are worth their salt they will be rewarded by JohnnyBet. Best Football Betting Tips for Tomorrow! Levsky – An Italian tipster with a superb record of long term profits. This experienced bettor has proved his worth as one of the top tipsters at JohnnyBet, offering informative analysis and reasoning behind his selections. Some individuals may get lucky on their first fifty or hundred bets, but with well over 1700 bets and with more than 5% yield, there is no fluke about Levsky’s bets. His chart shows a steady, consistent increase in bankroll which is ideal. He mainly focuses on the Asian Handicap, 1X2 and Over/Under markets, and regularly finds value in Europe. Nor4etod is another elite tipster at JohnnyBet. The community were raising their eyebrows as his tipping started off slowly, but as always a long term view has to be taken and Nor4etod has really flourished in recent times, producing superb returns. Again focusing on the main markets such as the 1X2 and Overs/Unders, he combines an enviable knowledge of football with an equally expert insight into Ice Hockey. DZovan makes up the trio of top football tipsters at JohnnyBet. An experienced gambler from Romania, he excels in a number of sports and does particularly well at football, producing a 6%+ yield. DZovan’s selections are clearly extensively researched and well thought out and this is reflected in the profits he posts. If you fancy yourself as a tipster and think you can compete with the excellent talent already showcasing their abilities at JohnnyBet, or if you want to read the reward of the current tipsters hard work, then sign up today and start profiting!